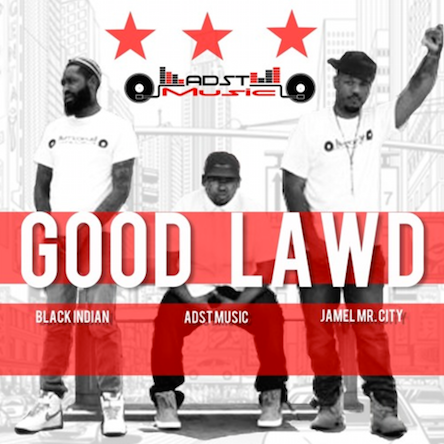 ADST Music ft. Black Indian & JAMel Mr. City "Good Lawd"
Home > DMV Singles > ADST Music ft. Black Indian & JAMel Mr. City "Good Lawd"
About Track: DMV hip hop producer ADST Music returns with his first featured release "Good Lawd" featuring D.C. legend Black Indian and Wordsmith JAMel Mr. City. The single is from his forthcoming mixtape Definition of Doubt, his third project in the last two years, following the well-received hip hop instrumental albums Chop Shop Vol. 1 and Nobody's Gonna Believe You. ADST Music finds the soul within the sound, blending intricate sounds and drum patterns to create new but reminiscent soundscapes that bring listeners to the essence of hip hop. "Good Lawd" is the street anthem and call to arms of the awareness of what is happening in many African American Communities across the United States. Hailing from Oxon Hill, MD, a suburb outside of Washington, DC. ADST Music has been influenced by production legends such as D.J. Premier, Pete Rock, J Dilla and current greats such as Kanye West and 9th Wonder. With the gleaming backdrop and canvass created by ADST Music, Good Lawd returns listeners back to the essence of Hip Hop... Hard Beats and Lyrics.